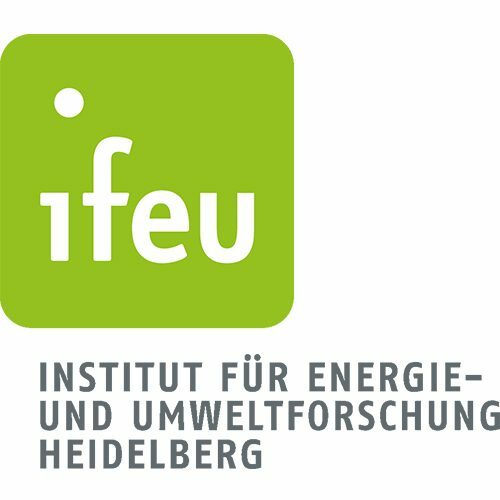 Founded in 1978, the IFEU – Institute for Energy and Environmental Research Heidelberg (IFEU) is a limited liability company and a non-profit SME. IFEU employs about 55 researchers consisting of specialists from all major fields of environmental sciences. In 2015, ist annual turnover was 4.48 million €. As an independent body for environmental research and consulting, IFEU has an extensive track record in areas such as waste management and packaging materials, transport & mobility, renewable energies and energy efficiency as well as food and bio-based systems. IFEU is especially renowned for its expertise (>25 years) in the field of life cycle assessment (LCA) and environmental impact assessment (EIA). The clients and sponsors of IFEU include governments, federal and federal-state ministries and associated authorities (e.g. the German Federal Environment Agency), the European Commission, national and international foundations, UN organisations (e.g. FAO, UNEP and UNFCCC), private enterprises, associations and environmental organisations. The IFEU department of ‘Sustainability of renewable energies and bio-based systems’ has long-term experience in several activities such as coordinating large-scale projects, leading a work package of Integrated Sustainability Assessment and executing LCAs, life-cycle environmental impact assessments and integrated sustainability assessments. At European level, this has been proven in quite a number of projects on bio-based products such as GLYFINERY (GA No. 213506), BIOCORE (GA No. 241566), SUPRABIO (GA No. 241640), BIOLYFE (GA No. 239204), SWEETFUEL (GA No. 227422) and OPTIMA (GA No. 289642). The same concept is applied in the ongoing projects D-FACTORY (GA No. 613870), PUFAChain (GA No. 613303), COSMOS (GA No. 635405) and BioMates (GA No. 727463). IFEU executed more than 250 LCAs and sustainability assessments on existing and innovative technologies in the field of renewable energies and materials (notably bioenergy and bio-based materials/chemicals) starting more than 25 years ago.